Plot: When a retiring assassin realizes he's the target of a hit, he winds up back in the game going head to head with an army of younger, ruthless killers. Pretty blatant John Wick ripoff (though I guess it is based on a graphic novel). I like Mads, though. Yea, at first glance the setting/theme seem generic, but it could turn out to be interesting... plus Mads. netflix movies are an odd duck. a few of them COULD have been great if a few things were just ironed out. but then there's a whole slew of them that are violently unwatchable. People watch Netflix though, no one watches syfy. i think it is released or leaked in hd. 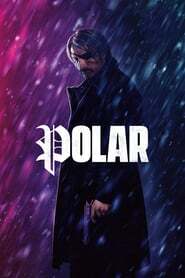 Snagged this and korsub aquaman, I played this first then aquadude expecting this to be trash, but we ended up snoozing through aquadude and preferring polar by far. 5/10. Mads and the action sequences were good. The ethnic breakfast club and gay baby Huey were atrocious though. Still enjoyable though. But I agree, villans were meh. Yah not the worst thing I've ever seen. Also was that drugged out johhny Knoxville in the first scene? I found it to be incredibly disjointed and fairly schizophrenic. Mads Mikkelsen was OK, every other performance was either over the top flamboyant or completely wooden. Yeah it had budget but seemed either poorly written or most likely poorly put together. So typical Netflix original quality as of late? I suppose that's what happens when you just start throwing money all over the place while focusing on quantity to fill your catalog.